Cambodia. Kingdom of Cambodia. 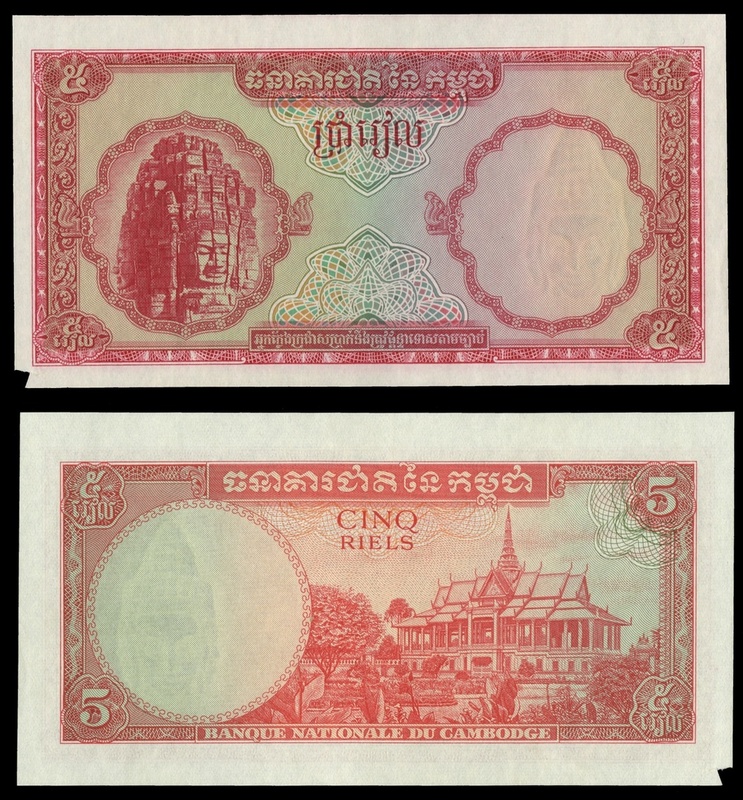 Banque Nationale du Cambodge. 5 Riels. P-10r. Red on multicolor. Bayon stone 4 faces. Royal Palace on back. PMG About Uncirculated, Missing corner tip. There are no markings to indicate this is a Specimen, but there are no serial numbers or series numbers. Is it a Specimen, or a remainder that the bank note company retained for the purpose of creating specimens? Pick uses both terms for notes such as these (see P-75s1).